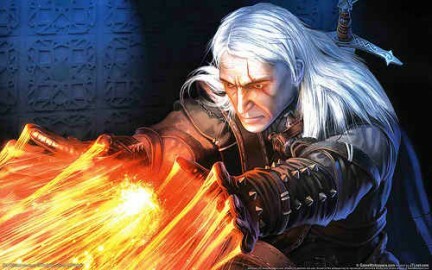 Con addirittura un giorno d'anticipo rispetto alla data d'uscita, prevista per oggi, è stata rilasciata la patch che porta The Witcher alla versione 1.1. Per usufruire pienamente dei bugfix presenti al suo interno è necessario iniziare il gioco dall'inizio, ma non dovrebbe essere un problema viste le circostanze. In fondo al post, cliccando su continua, la lista completa delle modifiche apportate dal team di sviluppo. - Fixes for druids' day-night cycle in Act 5. - Mutagen potion - new fixes for showing up a message. - Geralt's allies fixed to always react properly to all mosnters. - Raven Crypt - few fixes for geometry and placeables. - Fixed few places where player was supposed to meditate, but couldn't. - Soldier practicing on training dummy won't penetrate... it. - Berengar won't disappear on sight when sparing him. - A whole lot of localization fixes (some of them won't work with old savegames!). - Cat potion estimated time display - fixed. - Tooltip fixes for lower resolutions (for example 800x600). - Finishers fixes - animation sometimes did not play. - Fixed saving in tight places (player got teleported after load... sometimes). - Vizim's Temple Quarter: ~30 physics fixes; corrected barrels; ~10 decoration fixes. - Vizim's Temple Quarter/Burning Vizim:The banner on the tower is no longer black. - Chainmail stand placeable now has collision surface (player/npc can't pass through it). - A child in epilogue cutscene doesn't look like badly sewn young Frankenstein. - Old lady and dwarves - idle animation fixes.